Ah The Norwegian Blue beautiful plumage. Interesting to see that 'some Taunton to Yeovil direct' services are planned. Where would the reversal take place? 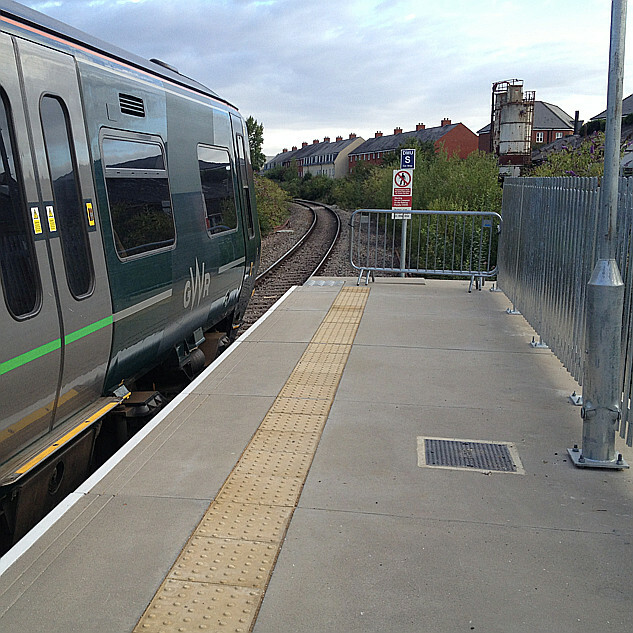 Is the signalling infrastructure in place to cross back east of Castle Cary? My knowledge of the current layout is insufficient to visualise this. I hope I’m wrong but it seems the announcement is nothing but the usual vague and probably unworkable plan and totally unrealistic timescale for implementation given the many hoops they’ll have to jump through before a train can turn a wheel. I worry that if it drags out too long, there will be problems not just with bats, but re-evolved dinosaurs. A bit harsh, maybe, but time will tell. 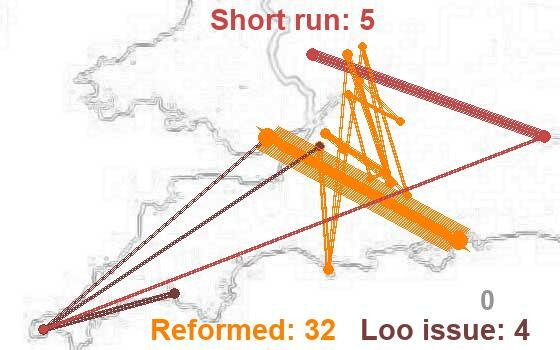 Possibly harsh, but how many massive and random route variations have there been since first proposed? Nuneaton, Moor St, Taunton, Yeovil, Weymouth? The core of Yeovil - Castle Cary - Frome - Westbury - Swindon - Oxford - Banbury - Leamington Spa has been pretty much there from the start, and covers a number of excellent flows that are distinctly poorly provided for at present. I share concerns but would see route changes more as a flapping of the limbs at the end and not "massive and random". Why do they hate Oxford so much? Next, they will be proposing dialling the 420. No one wants Swindon to be any closer - in travel times, or any other respect. No one wants that. Err ... there's an awful lot of people on the Swindon to Oxford journey already - by car, bus, and train changing at Didcot. I wonder where the poster's evidence is that none of these would like a faster travel time. I wish them all the best and hope the schedules are workable for commuters. I also hope they'll consider a late train in both directions too. Ditto - if we clarify that "late train" is a train scheduled at the very end of the evening, and not one that has a schedule but runs far behind it!. A late Oxford to Swindon (and on via Westbury) is very much in the plans as I understand them and fills a very real gap which no-one else (GWR / DfT / Wiltshire council) has plugged. If it ever comes to pass I would hope Swindon to Oxford would be in well under an hour! Although I can guess at the reasons why they have omitted a stop at Didcot on their suggested route they can't expect to garner support from the local councils in Oxfordshire as a result, as it won't assist in their objective in getting Didcot-Oxford(-Bicester) up to a 4 per hour frequency. With such a limited service they wouldn’t do much to help any 4tph service aspirations even if they did stop at Didcot. Best to avoid it if you ask me as I’m sure it would make a higher hurdle to jump if they tried to argue that it wouldn’t be primarily abstractive. That’s before the try and shoe-horn in a path at Didcot station! Open Access operators are between something of a rock and a hard place when it comes to selecting where to stop - or to propose to stop. Trawling back through things that half-sunk-in with various open access startups a few years back, I can recall instances where they had to miss out what seemed like blindingly obvious calls because (with such calls) they would be dupicating franchised journeys to the extent of signficant abstraction of passengers. Also to note - the relative infrequency of the service would be nothing like as big a hurdle to building traffic as it would be if there was no practical alternative ... put in the 06:30 from Frome into Oxford at 08:05, a return at 17:45 from Oxford that calls at Frome at 19:20 and you're providing key peak services - 07:30 Swindon to Oxford and 17:45 back to Swindon at 18:20. But that return service ain't the end of the story if someone gets delayed ... there are other options (currently 18:10, into Swindon at 19:00, change Didcot is the next one). People have the convenience and speed of a direct train at their normal time, but a fallback that's not too shabby for occasional use. A short news item on this in the latest "Railway Magazine" out on Wednesday (3 April).